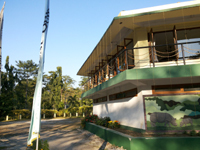 Jaldapara is known for its Rhino population. There are only a few areas where this elusive beauty can be found. Apart from Kaziranga and Pobitara in Assam, Jaldapara in West Bengal is being the safe home for this wonderful species since long. The grass wetland, ideal for Rhino's provides them natural habitat for their strong survival. Set out with a binocular and see the majestic flight of Hornbill, Racket-Tailed Drongo and Asian Paradise Fycatcher. See the splendors of sun set beyond the vast grassland of Jaldapara from you Bungalow deck. Jaldapara is exceptionally rich in avifauna because of varied terrain, mosaic of vegetation and rich insect life. More than 240 species of birds are found in variety of habitat- Grassland, water bodies, woodland. The varied tree forests and rich shrub growth on the forest floor provide ideal setting for many woodland birds, such as Green Pigeons, Hornbills, Barbets, Parakeets, Woodpeckers, Cuckoos, Orioles, Drongos, Babblers, Thrushes etc. Brahminy ducks, whistling teals and Goosanders are winter visitors. The most common water birds are the large and little cormorant, Indian Shag, Darter, Egrets, Lesser Adjutant Stork, Pied Wagtail, Spur Winged Lapwing, Moorhen, White Breasted Waterhen etc. The night hunters in Jaldapara are the owls and the nightjars. 30 km from Jaldapara, a small village on the banks of River Torsha bordering Bhutan is the only habitation of Toto, a primitive tribe in Dooars. Their number has dwindled to less than 1000. The aboriginal lifestyle of the Totos attracts a large number of tourists from many parts of the world. It is a small village on a hillock located in the Jalpaiguri district of West Bengal, India. This village is home to the unique Toto tribe that is one of a kind in the world. 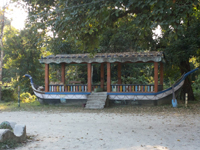 The village is about 22 km from Madarihat, which is the entry point of the famous Jaldapara National Park. This village falls under the Madarihat police station. It is bounded by the foothills of Bhutan to the north, Torsa River to the east, and Titi river and the Titi reserve forest on the south-west separated by the Hauri river. Hidden deep inside the Chilapata Forests the ruins of a thousand yeas old fort of Nal King has a tremendous historical and archeological importance. On way to Cooch Behar, a trip through the deep and dark Chilapata Forest (20 km from Alipurduar) is a pleasant and exciting experience. Built in the 5th century during the Gupta Empire the ruins still recall the memories of the Golden Age of India. The dense forest & its habitants have made Chilapata an important tourist spot in Dooars . Chilapata is home to many animals including Rhino, Bison & various types of birds. You can include Chilapata for a half day tour from Jaldapara. 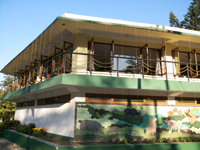 South khayerbari is an animal rescue centre of Dooars situated just 15km. away form Jaldapara. A no of Royal Bengal Tigers & leopards has been brought to the centre after the ban of these animals in various circuses. Here the visitors get an opportunity to have a closer view of these animals from. Located at a distance of 80 kms from Jaldapara, Gorumara National Park is situated on the bank of rivers Murti and Raidak in the terai region of Dooars on the foothills of Eastern Himalayas. Gorumara is famous for its Asiatic one horned Rhino, Asian Elephants, Bisons, Peacocks. This was a reserve forest since 1895. In the year 1949, the park was declared as Wildlife Sanctuary for its breeding population of one horned Indian Rhinoceros. On January 31, 1994, it was declared as a National Park. The 80 sq. km area of the Gorumara National Park is famous for its rich variety of flora & fauna. 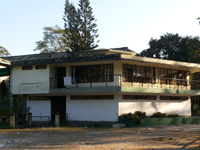 The park is located in the Malbazar subdivision of Jalpaiguri district, in the state of West Bengal in India. The Murti, Jaldhaka, and Indong rivers flow through the Park on the foothills of the Himalayan ranges in the North making the whole region picturesque. The park offers breathtaking landscape with its rivers and mountain ranges. Lataguri a small town adjacent to the park is the entry point. It was established in the year of 1982-83 to save the most important species of North Bengal The Royal Bengal Tiger. 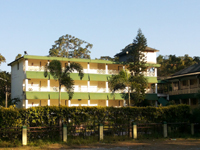 The park is located at the north eastern corner of Dooars plains of North Bengal bordering Bhutan and Assam. The core area of 315sq.kms around the Buxa Duar Fort was declared a National Park in January 1992. 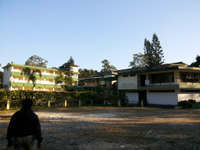 It is 85 kms from Madarihat, the road passes through beautiful forest and tea gardens. and a picnic spot. 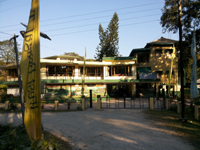 Jaldapara Tourist Lodge-Madarihat is located in front of the Jaldapara National Park.The Madarihat Railway Station is just 1.5 km from the Jaldapara Tourist Lodge . 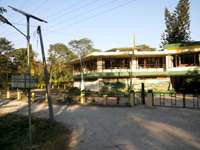 The best advantage in staying at Jaldapara Tourist Lodge is the the ticket counter for rides into the National Park is also located just opposite to the Tourist Lodge. The rooms at Jaldapara Tourist Lodge are comfortable and spacious, complete with all modern amenities required for a comfortable stay. 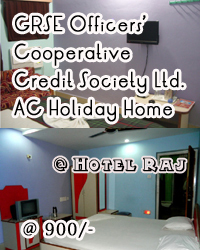 Rooms are divided into the following categories: Non-AC Deluxe and Standard double-bedded, Tourist Hut double-bedded and Cottage. 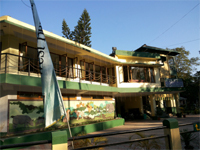 Jaldapara Tourist Lodge provides an excellent multi-cuisine restaurant and bar that serves a reasonable variety of delicious menu.